The kick followed quickly after this shot. Fellow audience members also offered their arms and necks for her to bite. Her last song was when all should crouch, since she will be walking on people’s backs. The anime wota/fans who just wouldn’t stop cheering for hours are now nowhere to be found, or have put away their glowsticks. 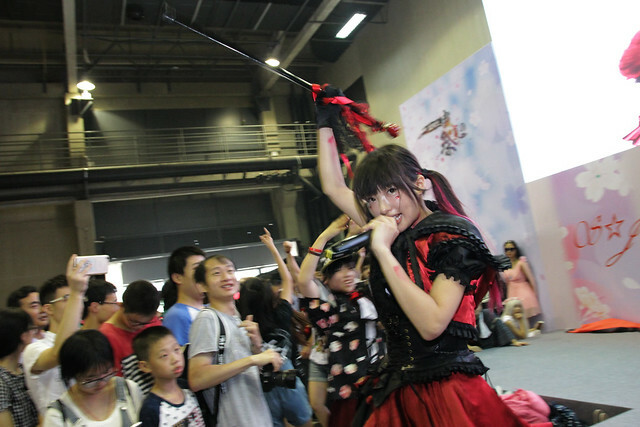 It was way too easy to see this wasn’t anyone’s typical fare, but it was great to see Pikarin fans who knew her shtick, and were not nearly shocked. PS: There are Youtube videos of the entire performance here: 1, 2. You’ll Melt More! came into my music consciousness early this year, and their song Only You took my 2015 song of the year credit. How can an idol group do that? You make a song that reminds you of bands like Trail of Dead, Mogwai, etc., and have a personality like Ano, a skinny, clumsy-moving, stage-diving, seemingly mentally unhinged character that would remind one of maybe Mariko Goto, or Oomori Seiko (where they both appear in a very recent music video of Oomori’s). After hours and hours of cosplayer talent showcases I dearly wish I could just shoo away -I know, I know, this was their turf, I’m clearly just a spectator- the foursome took the stage. A good chunk of the setlist didn’t revel on that musical side of the group I like, but when they did venture out to that territory, being band-less and worn-down with a bad venue sound system and an absence of stage-lighting weren’t enough to stop the group from sprinting around the venue, engaging the audience, and just giving a good show. My merch loot comprised of a shirt, their latest CD, and an Ano button. I also had a ticket stub in hand that I was hesitant getting -and paying for- before the show started. The ticket stub was to have a photo with the group. I found out only after the show that you had to pick one member. I felt a little guilty sticking with the one ticket I had, and going for the Ano line everyone (about 50) went for as well, when Younapi, Kechan, and Chiffon, only had a handful of people for theirs. Those fans were lucky though, since they can squeeze in a few more minutes to converse with their chosen member, while I had the impression that the people in my queue were fully aware that the meet-and-greet should be quick and painless. 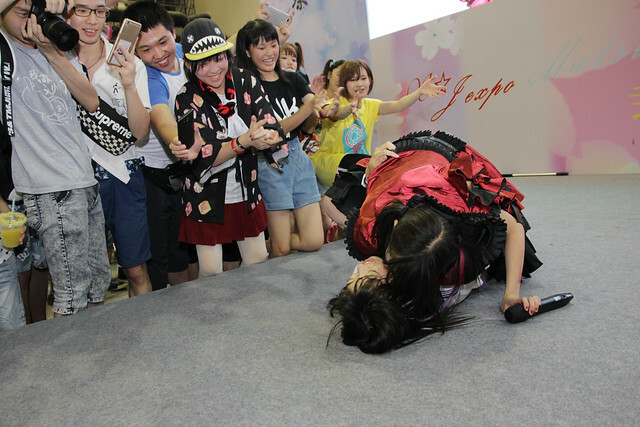 So, how was it actually meeting a Japanese idol? It was early evening when their performance ended, and I was at the venue before noon, not knowing the schedule for the day. A great dose of fatigue had already set in when I positioned myself in the queue, and the eagerness really just set in when Ano wasn’t just a minute figure in my vision. I noticed people showing her their phones, and since she was signing her name on the photos, I prepared as well. Translated ‘Filipino‘ to Japanese, too, and put that on the same note. Approaching the stage, I greeted her, told her where I was from, and proceeded to show her my note. 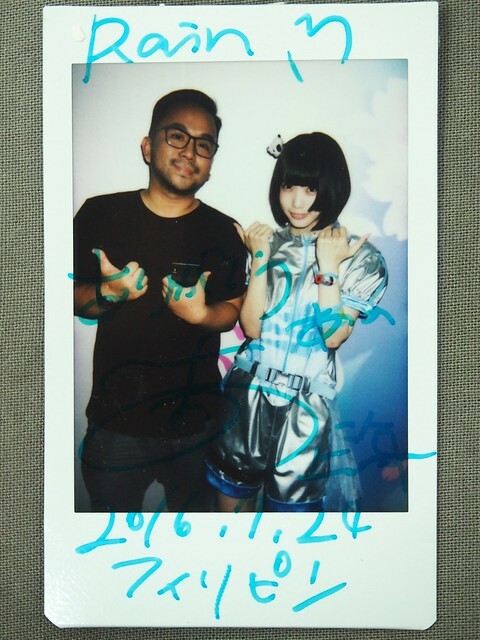 She said “Philippine” shyly, a staff member prep’d us for our photo, Ano did a thumbs-extended pose which I mimicked, photo was taken, said photo was handed to her, and she wrote on the still undeveloped photo. I closed the encounter with a two-handed handshake like any polite idol fan, and just like that, one opportunity I didn’t think was ever possible by just forking out 35RMB (246 PH pesos) for an event ticket, and a subway ride. SH Dispatch #24: Shooting Idols! SNH48!